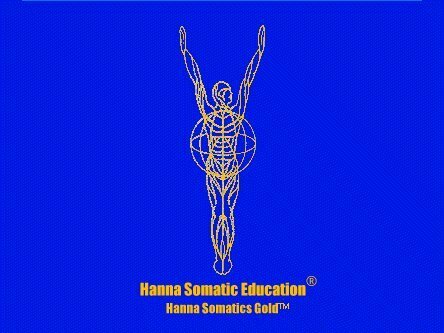 Hanna Somatic Education is fundamentally neuromuscular education. It deals with chronic pain patterns. It is directly involved with the voluntary motor system via a first person experience: We are self-sensing, self-monitoring, self-changing. Hanna Somatics works towards recalibrating the brain with muscular awareness that especially relates to the bio-intelligent movements of specifically the trunk and the spine. Hanna Somatics uses sensory awareness and muscular training to end chronic muscular contractions that may be causing pain. In a session, the client will do selected movement patterns relative to that individual client. The point is to use the cerebral cortex “the motor nervous system (motor movement and sensation/sensory)” to increase awareness and learn, or re-learn, movement patterns. We pay attention to what’s happening. Bernard is a very knowledgeable and talented practitioner I worked with for a little while. 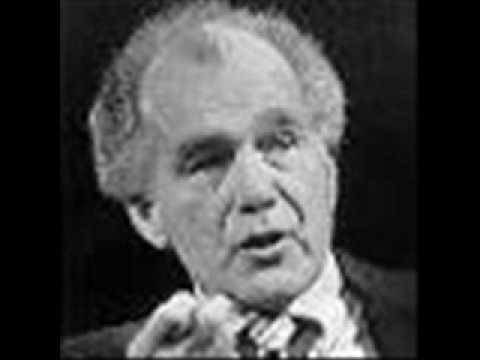 I did both Hanna Somatic Education lessons with him as well as ten+ Rolfing sessions. His bio is well worth reading: www.stillnessinmotion.com/about/bio The information below is from his web site. Sensory Motor Amnesia is a Hanna Somatic term. This is something that generally occurs after injury or long term stress and/or mis-use. Usually we are unaware of any event that led us to this tension to which the body is responding. We are only aware of the pain and restriction. The body self-guards. This persists and becomes familiar “it’s the only body we know, so we stop noticing the tension. The tension then becomes automated and over time, coordination and efficiency are sacrificed. Some parts of the body have too much sensations (pain) and some have too little (unaware). Some parts are very strong and some are weak. In a Hanna Somatic session, you move very slowly and gently in order to notice, and feel, movement continuously. There is a constant sensing that is going on in order to re-set the tonus of the muscle from highly contracted to released and more relaxed. All movements are done via the spine and the trunk and tend to move through the Center of Gravity. The primary goal is to restore the body to its natural state of alignment and balance by organizing the body along the line of gravity. Potentiation: muscles have a tendency to contract which increases as we get “keyed up.” These contractions can become chronic in our own unique, individual way as we react to events in our lives both physical and emotional. When muscles become chronically contracted they never go to their resting length. Potentiated muscles therefore lead to fatigue, soreness, joint compression. 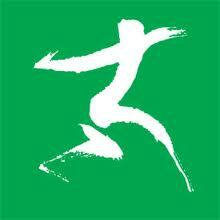 We do a muscle contraction, mindful of sensations and effort, so that we always remain in an easy, comfortable zone. The muscle is used with varying levels of effort and then consciously relaxed or released as the brain pays attention to what is happening and what one is feeling, as the muscle relaxes. It is conscious relaxation so the client is aware of going from tension to release and the gradations on the spectrum between the two. Sensory Motor Amnesia occurs neither as an organic lesion of the brain nor of the musculoskeletal system; it occurs as a functional deficit whereby the ability to contract a muscle group has been surrendered to subcortical reflexes. These reflexes will chronically contract muscles at a programmed rate — ten percent, thirty percent, sixty percent, or whatever –and the voluntary cortex is powerless to relax these muscles below that programmed rate. It has lost and forgotten the ability to do so. The condition of Sensory Motor Amnesia, so little understood and affecting such a large portion of the population, can be remedied by only one means: a reeducation of the voluntary sensory-motor cortex. The cortex must be reminded sensorially of what it has forgotten so that, once again, it has full motor control of the muscular areas affected. When it does so, the symptoms mentioned above disappear, and the chronic, medically incurable situation is alleviated. Sensory Motor Amnesia can only be overcome by education, not be treatment. An internal process must occur whereby new sensory information is introduced into the sensory-motor feedback loop, allowing the motor neurons of the voluntary cortex once again to control the musculature fully and to achieve voluntary relaxation. This is the general nature of Sensory Motor Amnesia pathology. Specifically, SMA occurs by three pathological processes: (1) the trauma reflex, (2) the startle reflex, and (3) the Landau response. Minor causes of SMA are atrophy caused by disuse (as with bedridden or wheelchair-bound persons) and habitual misuse of the muscular system (as with “dentist’s hump,” caused by working stooped forward). The startle reflex occurs as a stress response to threatening or worrisome situations — whether actual or imagined. If the threatening situation triggering the startle reflex occurs often enough and strongly enough, the muscular contractions of the reflex become chronically potentiated, resulting in the contractions of permanently raised shoulders, depressed chest, taut thigh adductors and, in severe cases, chronically contracted elbows and knees. An indirect effect of a chronic startle reflex pattern is shallow breathing, which affects functions of the heart and the central nervous system — the latter creating chronic dominance of the sympathetic nervous state. These are examples of SMA caused by the startle reflex, a subcortical brain mechanism not directly controllable by the volitional pathways of the cortex. The Laudau response is an arousal response that contracts the posterior muscles, erecting the back in preparation for movement forward. SMA occurs by three pathological processes: (1) the trauma reflex, (2) the startle reflex, and (3) the Landau response. The muscles affected are the central extensors of the spine, the rhomboids, gluteus medius/piriformis, and hamstrings. This response occurs in situations where action is demanded of the person, for example, a knock on the door, the ring of the telephone, a response to a request, and so forth; all unfortunately, are occurrences typical of daily life in urban-industrial societies. The constant repetition of these situations and the Landau response makes these muscular contractions chronic. It is important to note that the effects of these three chronic reflex patterns are universally mistaken for “the inevitable effects of old age.” aging, however, is not a pathology, nor does longevity have any relation to these symptoms, except in the sense that the longer we live, the more the traumas and stress we have experienced. “Old Age” is a cryptopathology which further invalidates the ability of the medical practitioner to diagnose SMA. There are two distinct ways of perceiving and acting upon physiological processes: first, one can perceive a body and act upon a body; second, one can perceive a soma and act upon a soma. The first instance is a third-person standpoint that sees an objective body “there”, separate from the observer — a body upon which the observer can act, for example, a doctor “treating” the patient. The second instance is a first-person standpoint that sees a subjective soma “here”: namely, oneself. The soma learns to change itself. A soma, then is a body perceived from within. The word soma describes the rich and constantly flowing array of sensings and actions that are occurring within the experience of each of us. The somatic viewpoint offers insights and possibilities that are categorically not possible from the bodily viewpoint that is the established perspective of physiological science and medical practice. Sensory Motor Amnesia is overcome by a sensory-motor process reminding the voluntary cortex of what it has ceased sensing and doing. This can be done in several ways, two of which have already been discussed: (1) by helping the person become sensorily aware of his unconscious, involuntary movement patterns (the “means-whereby”); and (2) by Kinetic Mirroring, which begins a process of relaxation of involuntarily contracted muscles; and, (3) overcoming SMA by using the Pandicular Response. Pandiculation is the name given to an action pattern that occurs generally throughout the vertebrate kingdom. It is a sensory-motor action used by animals to arouse the voluntary cortex by making a strong voluntary muscle contraction in order to feed back an equally strong sensory stimulation to the motor neurons. It is a way of “waking up” the sensory-motor cortex. When you see a dog or cat wake up, it will pandiculate; namely, it will strongly contract the large extensor muscles of the back that are essential for running. Then it may pandiculate in reverse, by contracting the anterior muscles into a flexed posture. Pandiculation prepares the animal for normal sensing and moving, readying its voluntary cortex for efficient functioning. Pandiculation occurs even in the fetal stage: an occasional extension of the limbs of the fetus, both prenatally and postnatally. Upon awakening, adult human beings also pandiculate: they extend their backs, legs, arms, and jaws in a typical stretch. Young humans stretch their limbs in much the same way as other mammals. In every case, it is directly linked with awakening — it is an ancient sensory-motor pattern of cortical arousal. Pandiculation is a way of waking up the sensory-motor cortex. The effects of the Pandicular Response are startling. Muscle groups that may have been in continual contraction for forty years or more will not only release but, with minor reinforcement, will also stay in this relaxed state. The sensory- motor change is both immediate and comfortable. The fact that long-term chronic muscular contractions can disappear so quickly is, neurologically, not surprising. If the change is made at the heart of sensory-motor experience, the peripheral musculature has no option but to lower its contractile rate. Muscles are the servants of the brain and have no will of their own. Clinical somatic education requires a comprehensive understanding of how pathological functions can occur, a general theory of human sensory-motor functioning, and a powerful set of methods of reversing this pathology with predictable efficacy. When all three conditions are fulfilled, we have a new modality in the field of health care: one whose practitioners know what they are doing, know what needs to be corrected, and know how to correct it.